Author: Freud, Esther Set In . . . The architect Klaus Lehmann loves his wife, Elsa, with a passion that continues throughout their married life despite long periods of separation. Almost half a century after Lehmann's death in the village of Steerborough, a young woman, Lily, arrives to research his life and work. Pouring over Klaus's letters to Elsa, Lily pieces together the story of their lives together and apart. And alone in her rented cottage by the sea, she begins to sense an absence in her own life that may not be filled by simply going home. The Sea House is the story of the village of Steerborough and the marshes and the sea beyond. It is the story of one generation living in the footprints of another; of a landscape shaped by lives, and lives shaped by landscape. 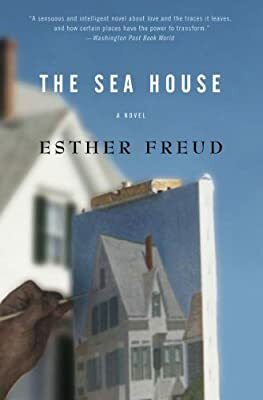 With characteristic skill and a new depth and range, Esther Freud explores the twisting paths that people take -- and the places where those paths meet.